Not every class with mom and dad involves diagramming sentences, the history of North American settlement, or (deep breaths, de-e-e-e-p breaths) long division. Sometimes the focus of the day can be the care and feeding of the boomstick. You may know this better as gun safety and good, old-fashioned shooting. Much fun was had by all. 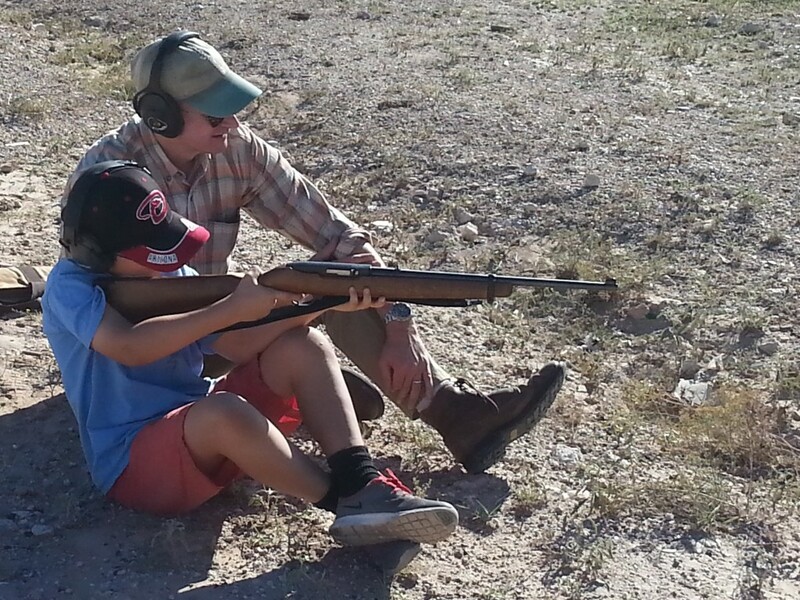 The main attraction was a Ruger 10-22, which is a nice platform for teaching the basics. It’s easy to use (though something like a single-shot bolt-action like a Cricket would be even easier), accurate enough to avoid frustration, and offers no recoil to speak of. Now that I’ve touted the charms of the Ruger 10-22 as a first boomstick, I’ll mention that he also did well with my wife’s Smith & Wesson .38 Special. Somehow, I didn’t get any pictures of him shooting the revolver, but he had no complaints about the recoil and took to it well, though he prefers the rifle.